Pearls are a timeless and elegant addition to every woman's jewellery box. 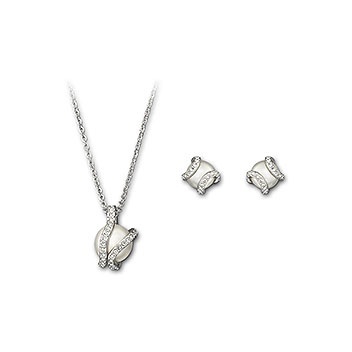 This beautiful set combines both pearl and crystal to create a unique and charming necklace and earrings. The high quality crystal pearls and pavé crystals adds subtle beauty to an elegant outfit.